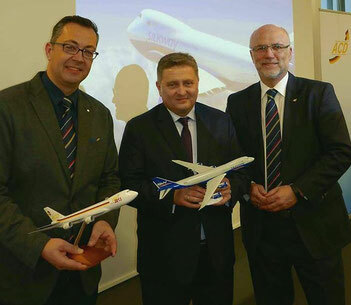 On Tuesday March 21st German Air Cargo Club (ACD) members received a first-hand look at the operations and future plans of the Baku, Azerbaijan-based Silkway Group which consists not only of airlines. Wolfgang Meier, the Silkway Group’s Senior Vice President, gave an interesting and eye-opening insight to ACD members, in what was the company’s first official presentation outside of Azerbaijan. The relatively small central Asian country, which was once part of the mighty Soviet Union, has been independent since 1991 and has developed into one of the most interesting economies in the region. The mainstay of the economy is the oil and gas industry, which has grown over the past twenty years and brought stability and wealth to the country which has only 9.2 million inhabitants. Wolfgang Meier’s presentation was spiced with fire and humour at the same time. Pierre Wesner, Senior Vice President of Silkway West Airlines and other members of the Silkway Group accompanied him at the ACD presentation. Strategically speaking, Azerbaijan’s east coast is situated directly on the Caspian Sea, and Russia and Georgia surround the country to the north, Armenia to the west and Iran to the south. An ideal trading place and transit hub in the middle of what is called The Silk Road. This seems to be the case for the Silkway Group of companies. In total, sixteen different companies, employing 3,000 staff, make up the Silkway Group. They consist of the four different airlines, along with travel, hotel, airport handling, technical services, warehousing and other activities. The company is privately owned and not state owned. They are Silkway West, Silkway East, Sky Gates Airlines, and Silkway Italia. These four carriers together run a fleet of around 15 Boeing 747 freighters along with six Iluyshin IL-76Fs. An order has been placed for an Antonov AN-124 and two AN-178 freighters as well. 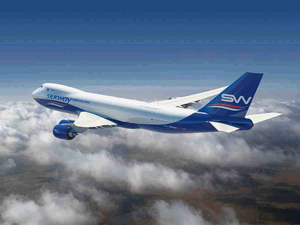 The two larger carriers are Silkway West and East which together operate with nine Boeing freighters. Silkway Italia which is 46% owned by the group and is based in Milan has two B747Fs with a third one on order. The fourth in the group is a Russian Federation registered carrier called Sky Gates Airlines, which was formed in 2016 and has its base in Moscow. Silkway has leased two B747-400Fs to them and has agreed a marketing deal together, which basically also gives Silkway an entry into the Russian market. 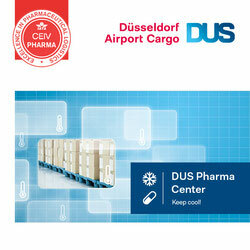 In Europe, the carrier operates into the southern Dutch city of Maastricht. The four airlines fly to 40 destinations worldwide, with Silkway West, being the largest of all four. Cities served from Baku are as far apart as New York, Chicago and Frankfurt Hahn in the west; to Shanghai and Hong Kong in the east. Tokyo in Japan and Djibouti and Nairobi in Africa are expected to be added this year. CEIV pharmaceutical certification is presently in progress for the airline group and Baku Airport and the carrier is a Cargo iQ member since this year. There is also a commercial deal with Azerbaijan’s national carrier, Azerbaijan Airlines. They operate a fleet of 30 passenger aircraft on regional and European routes and Silkway has an agreement with them to market their belly cargo space. Mr Meier explained to his audience that all four carriers work closely together and where possible strive to offer their clients combined packages and services. The handling facilities in Baku have had top priority during the past couple of years. 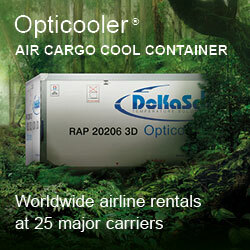 There are now two own cargo handling terminals which include ample cooling facilities as well. Furthermore, the Silkway management is considering erecting a separate Integrator sorting facility at Baku Airport to cater for the e-commerce expansion. Silkway West operates four weekly flights through Hahn Airport in Germany, with a possible fifth to be added, and the company has created its own handling company there - Hahn Cargo Services. One of Wolfgang Meier’s aims to firmly develop the Baku Cargo Terminal (BCT) into an important airfreight hub by using multimodal set-ups in what they term as revving the Silk Road as well as creating a viable Free Trade Zone for the future. Plans are already on the table for the latter. Another important aspect is to expand the present ACMI operations for other carriers. This business segment has proven to be good for Silkway during the past years. The Silky Group has until now purposely kept a low profile.